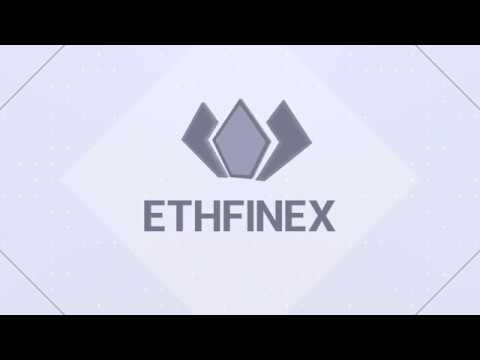 Ethfinex is a smart contract based decentralized cryptocurrency exchange built using the Ethereum platform. Ethfinex is a smart contract based decentralized cryptocurrency exchange built using Ethereum that is headquartered in Hong Kong and was founded in August 2017 by Giancarlo Devasini, Paolo Ardoino, and Will Harborne. Ethfinex and the Ethfinex team spun out of the cryptocurrency exchange Bitfinex with the vision of creating a customer0centric and liquid digital asset exchange platform. ﻿The platform uses its own native cryptocurrency token based on the ERC20 token standard called the Nectar Token (NEC). Ethfinex features include spot trading, margin trading, and peer-to-peer funding & decentralized trading of Etherum tokens. Ethfinex Liquidity Token:Creating the worlds most liquid exchange for digital assets. Built for the Ethereum community, using Ethereum. The Complete Beginner's Guide to Ethfinex Review 2019 - Is it Safe? Bitfinex is a digital currency exchange platform based in Hong Kong that was founded in 2012 by Raphael Nicolle and Giancarlo Devasini.